InLoCo assists its franchisees with years of experience. 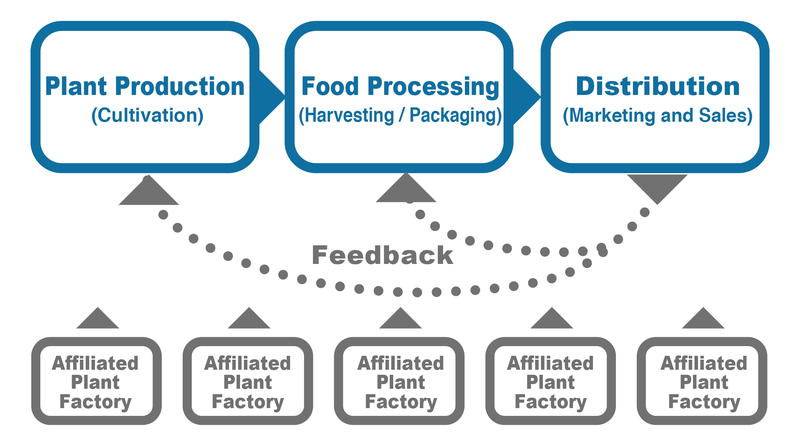 In order to be successful in the plant factory business, one must consider various factors in the advance planning proess: plant factory system installation, cultivation technique, operation flow, brand establishment, and marketing. It can be challenging for anyone stepping into the plant factory business for the first time to see exactly what needs to be prepared. InLoCo can provide precise advice and full support through its Agrichise program to overcome the challenges on the way to starting your own plant factory. No experience in agriculture required. InLoCo can help. InLoCo welcomes new entrants in the field of agriculture. InLoCo will provide its full and sincere support on each step from vegetable production to sales. By working side by side and getting feedback from its clients and partners, InLoCo keeps improving its operation to further assist their commercial success.InLoCo keeps evolving its capability to meet its clients’ and partners’ needs through a feedback-reflecting cycle of review --> examine --> improve --> renew. The ideal growing environment of the plant factory promotes rapid vegetable growth, resulting in a shorter growing period while keeping the quality of product high. InLoCo carries the know-how to commercialize diverse vegetable crop varieties. “Efficiency” is the key to success in the plant factory operation. By carefully designing the planting layout and managing a seeding schedule, the number of crops grown in a limited space can be maximized. Also, careful and prudent labor management minimizes labor costs. Vegetable production -> Packaging -> Sales Accumulated know-how in each section. We have a wealth of know-how in each sectot. From its on-factory training to marketing, product development, and promotion at the office, InLoCo has done it all to accumulate its knowledge and experience. InLoCo's uniqueness in the sixth industry solution is its feedback-reflecting cycle, by which InLoCo is able to keep improving its service in the industry. Please feel free to ask for a consultation.